The Global Watch carries much of the spiritual DNA of Herrnhut Germany. As such, we are relaying a summary of a significant landmark gathering in Herrnhut, Germany August 11-18th, 2017 on the 290 year anniversary of the outpouring. 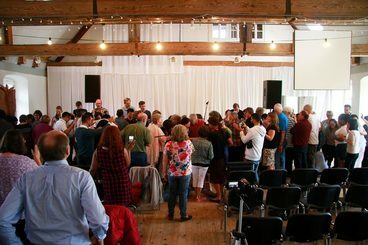 People from 30+ nations (including villagers) gathered in Herrnhut, Germany to seek the Lord and "Re-dig" the well of revival that took place there, August 13, 1727. The Lord took us to this defining moment surely pointing to a "set time." 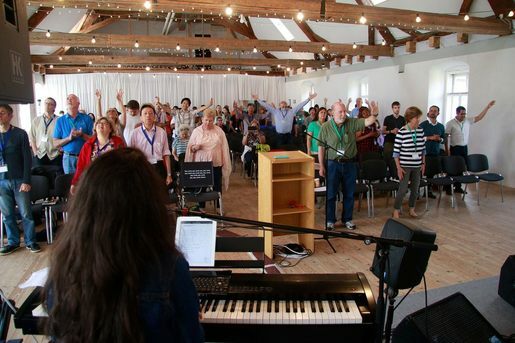 The supernatural connections and events that led us to the convening were marked by "Only God could do" confirmations. The gathering was a distinct call of God, and those in attendance came as a response to that call at significant price and sacrifice. We are humbled by the numerous stories of God’s obvious hand and provision on how many heard from God and provided supernaturally for their journey. None came for any recompense, even speakers, and worship leaders. Most came with a stated desire to “Encounter” God. It has been our experience that when we ask for such experiences, often the “Encounter” comes in ways we do not expect or understand. Our sense from the beginning with the lightning strike on God’s acre (confirmed by some of the youth who were there when it happened), to the end, there was a divine message and “Power encounter” with God that ensued and sense of spiritual birth and shift in atmosphere. Signs followed. 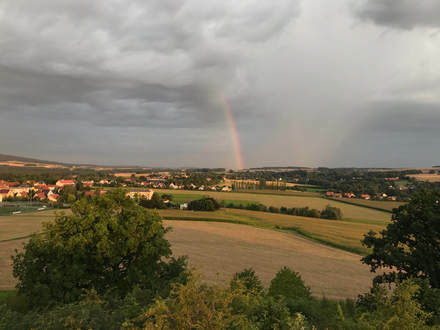 In very "Brief" review, a few hours before the meeting in Herrnhut started, the area encountered a lightning and thunder strike that "Shook" the earth. The testimony of the lightning strike that "Shook the earth" hit "God's Acre" has come through young adults on sight at the Watch tower when it happened. Many of the residents in Herrnhut and those of us there were suddenly riveted to attention. Residents of Herrnhut said they have never witnessed anything like it. That was the beginning of the Lord of Hosts taking command of a meeting that only time will tell of its significance. Suffice it to say; the "Summit" was at the very least provoking, if not life changing for many of those in attendance. Why? Because the Lord of Hosts met us. Getting serious with God, Tuesday evening, August 15th a travail broke out that led many into the wee hours of the morning weeping in surges across the room. The meeting was closed to allow God to "deal" with each one of us individually as deep repentance took over the convening. The sense of spiritual birth was real. This spiritual nature of the travail was confirmed when reports reached us of similar manifestations happening at the same time on a University campus in Egypt and in two prayer groups in California. 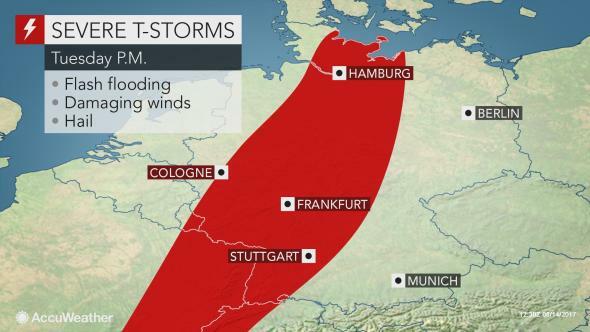 That night a massive thunderstorm hit Europe, shutting down many of Europe's airports. Of note, key words going into the gathering included "reconciliation" and "alignment." There were significant alignments made both individually and corporately as people were apprehended and refreshed in the Presence of the Lord. Outward manifestations of the results of the alignments and reconciliation proved themselves as testimonies of personal lives and the community of "Herrnhut" itself being impacted. Delegates from the summit shared with the Moravian church communion service on Saturday night, 13 August. Moravians stepped across their boundary lines to participate in the prophetic staking of scriptures Wednesday and participated in the prayer/worship night Thursday. We may stand corrected, but it was relayed to us this was a first time in many years that this had happened in the village. Messages on transformation, watchmen, and Ekklesia were provoking if not life impacting sending us forward with purpose. Not only is ongoing corporate prayer and informed intercession important, but the infrastructure of relationship is vital to a sustained move of God and transformation. Small groups meeting in homes, or houses of prayer are included and should not be intimidated in this grass roots call. They are vital parts of the building necessary to bridge our cities/states/nations. Commitment to core values forms solid foundations for healthy relationships, bred in a culture of honor, and continued growth and expansion. John 12:24 "Most assuredly, I say to you, unless a grain of wheat falls into the ground and dies, it remains alone; but if it dies, it produces much grain." Isaiah 58:12 "Those from among you shall build the old waste places; You shall raise up the foundations of many generations; and you shall be called the Repairer of the Breach, and Restorer of Streets to Dwell in." INVITE GOING FORWARD: Whatever your take on the convening, understanding the role and construct of the “Watch” and being “Watchmen” in repairing the breaches, and restorers of the understanding of Ekklesia are powerful transformational concepts. It was a message that shook the earth, and the heavens declared its impact and import. Now the commission is to go forward. It's time to carry the seed of Herrnhut forward into the nations and nurture it to fruition. ​To join the growing family of watchmen across the nations click here.